Here are current listings of Paradise Valley homes for sale. 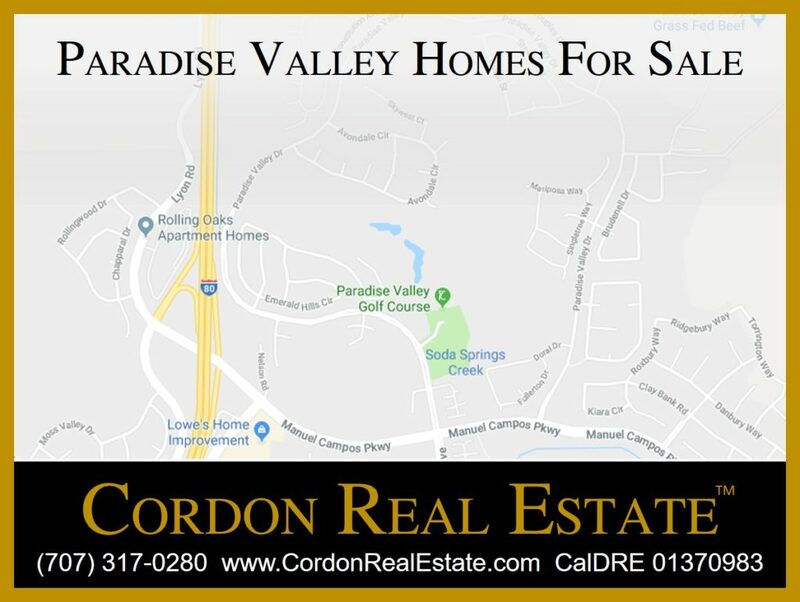 Paradise Valley are located around the Paradise Valley Golf Course in northern Fairfield, CA. To view all homes for sale in the City of Fairfield, CA click here: Fairfield Homes For Sale. View the listings, then contact us to schedule showings. Please use Contact Us or call John at (707) 317-0280 for help with your sale or purchase. To search all locations and property types in the North Bay/Wine Country, click Wine Country Property Search. To have us find properties for you throughout the San Francisco Bay Area, call John or submit a Property Search Request.